The arch is a structure prevalent in History. With humble beginnings, the arch has evolved over time.Today, innovation has led to the incorporation of new materials such as steel, which has given us a reason to reinvent the arch again. 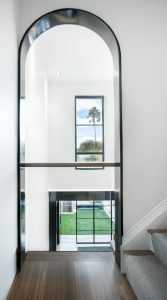 In a recent Roth project, we gave a Paddington terrace new life by contrasting traditional architectural features with a contemporary addition. Once restricted by poor light and boxed in rooms, new spaces are able to flow from one to the other. These spaces are confidently supported by a series of steel arches that help celebrate the new, whilst reflecting on the past. 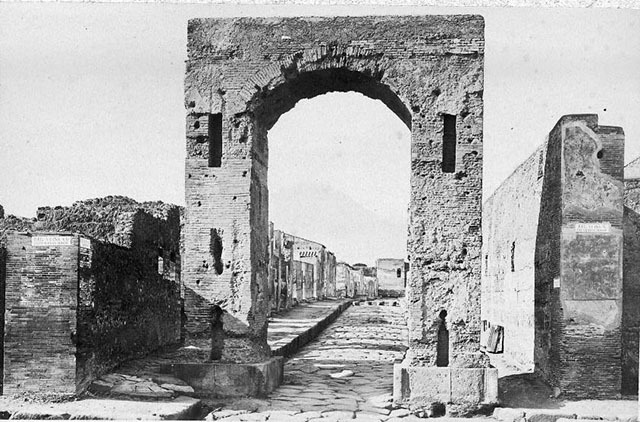 In Pompeii, the Arch of Caligula is an honorary arch, which acts as both entrance and passageway. Similarly, the arches in this Paddington terrace provide the spaces with an entrance point and a passageway to the new. The required structural steel is expressed and refined at the threshold between old and new. The staircase works its way up and through the arches, assisting this path. With the change in levels, comes an increase in privacy. The layout is playful and the downstairs is open planned. The upstairs area is slightly closed off with the use of framing from the arches. A conflict is created between public and private space. The journey that one takes through the house is perhaps even symbolic of a spiritual journey. The home is a sacred space that offers comfort and security. Although the Arch of Caligula stands as a public monument, it offers a sense of security to the community as an anchor point. Experiencing the arch in the context of the home connects people to the past and creates a bold statement about what they have achieved, and where they are going. We are living in a time of innovation and technological advancements. It can be easy to lose touch of the human scale and to overcomplicate design. It is therefore refreshing to witness the refinement of a classic architectural element, made relevant to design today. There is a subtle complexity in the arch. It helps to appreciate the value in simple but effective design. The steel arch in the Paddington terrace simultaneously provides light, structure and circulation. It also contributes to the modern nature of the design, with the sleek lines created by the dark material. However, it is the way it delights through the unexpected framing of inside and outside, that completes the design. Once having entered the upstairs, there is the opportunity to look back on the rest of the house and perceive it in an entirely new way.